The 2nd annual Kids Dig a Cure! fun run...And they're off! 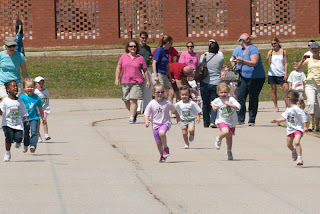 ﻿ The Second Annual Kids Dig a Cure fun run presented by Dig It! Athletics started much like the first. With excitement and hard to contain anticipation, the youngest of runners lined up at the start. Before “Ready, Set…” could be announced, they were gone! 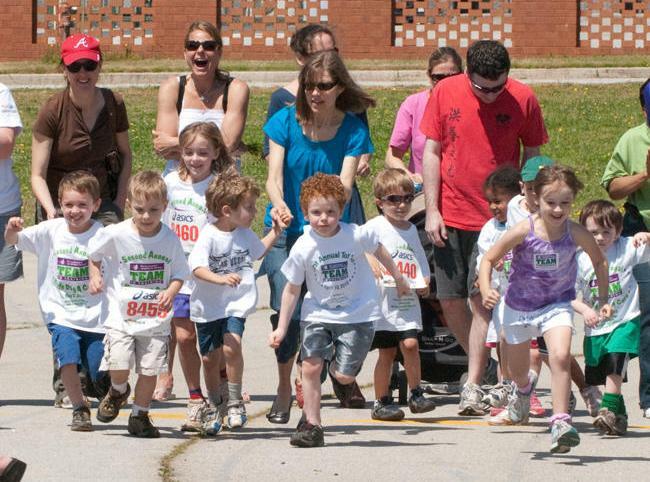 Fifty four kids, ages two through sixteen, participated in this year’s run. Some were faster than others, but all were incredibly determined. I was reminded of many a GTS when it wasn’t always easy, but we always finished. 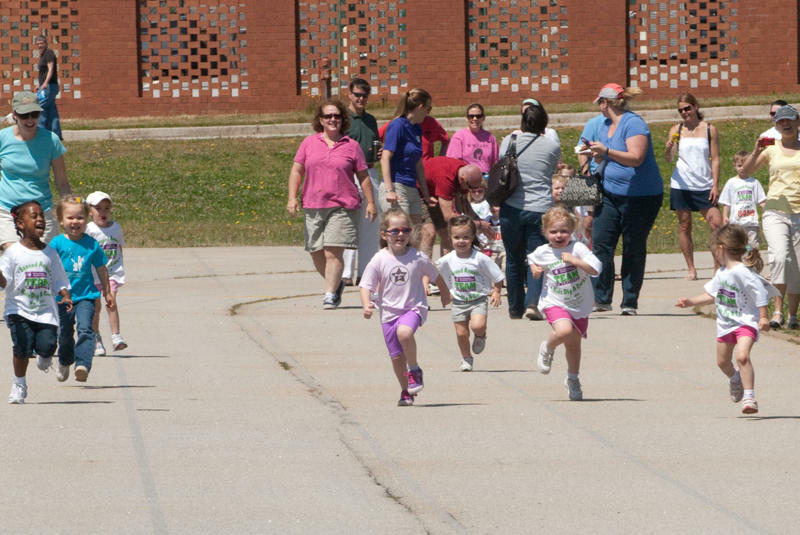 All of the kids were thrilled to reach the finish line and proudly don their finisher medals. We are so thankful to our dedicated sponsors, 360 Venture Law, Watkins, Lourie, Roll & Chance, PC and Property Works for both the medals and t-shirts. This year’s event surpassed the last both in participation and enjoyment. We were happy to be joined by Dean Donut, a local kids DJ and entertainer. He kept the crowd moving by playing music and announcing the play by play for each running age group. Also popular was the silent auction and bake sale. With the combination of all of these events, we were able to raise over $2,000 for The Leukemia & Lymphoma Society and many Team In Training volunteers (to whom I am incredibly grateful) fundraising for current endurance events. TNT Alumna and Honored Hero, Tricia Hernandez is the race director for the Kids Dig a Cure fun run to benefit The Leukemia & Lymphoma Society. Congratulations Tricia on another successful event and thank you to all of the volunteers and alumni that supported! Tricia is also planning on rejoining the TEAM for the 2011 El Tour de Tucson century ride in November.